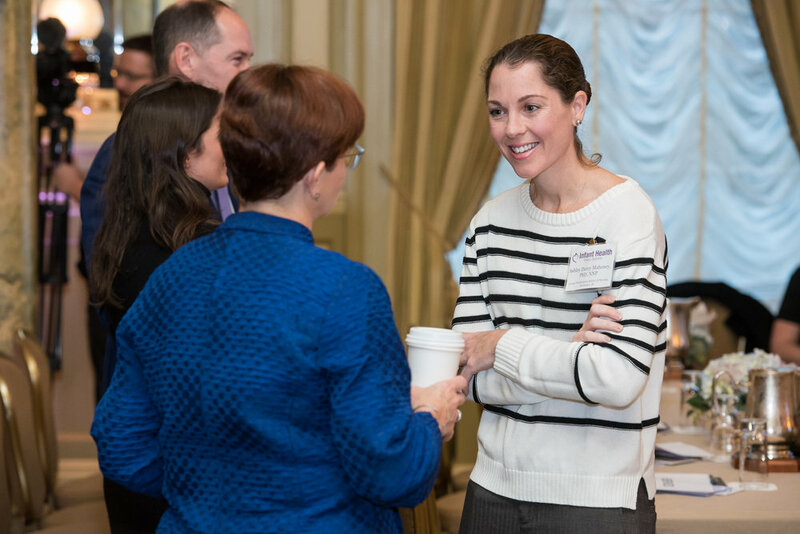 The daylong event brought together health care providers, parents, advocates and congressional staff in Washington, DC, to consider how policy can address the challenges facing infants and their families. But as the day’s discussion made evident, those challenges can be staggering. Congenital heart disease, for instance, loomed large during the summit. Katie Mooshian of Mended Little Hearts described her son Charlie’s experience with single-ventrical physiology, whereby only one of the heart’s two ventricles pumps blood as it should. Beyond those measures, another factor plays an important role in the lives of infants with congenital heart disease: nutrition. In a panel discussion, Jodi Lemacks of Mended Little Hearts, described struggling to breastfeed her infant son Joshua, who was born with congenital heart disease. “Feeding your child is the one way you know your child’s going to be nourished, that your child’s going to survive,” Lemacks explained. Ultimately, Lemacks noted, breastmilk helped Joshua gain weight and boost his immunity. Clinical research is underway to more closely examine the benefits of human milk for infants like Joshua. David Rechtman, MD, of Prolacta Bioscience explained that human milk – whether breastmilk, donor milk or human milk-based fortifier – has been shown to help protect premature infants from deadly intestinal conditions. Now researchers hope to confirm that human milk also provides benefits for infants born with congenital heart disease. “If you give them more calories and more protein, they’re going to grow better,” Dr. Rechtman noted. Another struggle also generated vigorous discussion: Respiratory syncytial virus, or RSV. Suzanne Staebler, DNP, of Emory University presented results from the National Coalition for Infant Health’s national survey on awareness of RSV. The virus is the leading cause of hospitalization in children under one year of age. The survey revealed that parents have high levels of concern about RSV but feel unprepared to protect their young children. Specialty health care providers such as neonatologists and NICU nurses, meanwhile, reported seeing RSV cases regularly and proactively monitoring patients for the disease. Ireland wasn’t the only event speaker who turned adversity into advocacy. Keynote speakers Stephen Bowen, former NFL player, and his wife Tiffany Bowen, PhD, lost their premature infant son Skyler to intestinal infection just days after his birth at 24 weeks. In the face of overwhelming grief, the couple persevered – “staying strong” for Skyler’s surviving twin brother and the couple’s older daughter. Stephen’s strength under stress led him to receive the Ed Block Courage Award. Tiffany earned her doctorate and came through post-traumatic stress disorder to create Skyler’s Gift Foundation along with her husband. The nonprofit aids unprepared families in paying for the funerals of premature infants who don’t survive. The organization also provides funding for those families’ grief counseling. In recalling the loss of young Stephen, the couple reflected upon the worry and grief they felt – but also the dedication of their sons’ health care providers. People who work in the NICU “are heroes,” Tiffany emphasized. Those heroes face challenges of their own. Just consider the issue of hospital tubing. Addressing the summit audience, Rebekah Thacker, MSN, of the University of Arkansas Medical Center described concerns about the use of tubing connectors known as ENFit in NICUs. As described in a 2017 video from the National Coalition for Infant Health, liquid can “hide” in the reservoir at the tip of the connector – potentially dosing tiny infants with more medication than intended. Thacker described her efforts to push back against industry’s drive for ENFit adoption. “Nobody knows the neonatal population like a neonatal nurse,” Thacker insisted. And that population is broader than one might expect. The National Coalition for Infant Health released at the summit a new video emphasizing the full spectrum of prematurity. “Still a Preemie,” explains that preemies don’t always conform to stereotype. Late-preterm infants born from 34 through 36 weeks’ gestation, or those who are born premature but at a “normal” birthweight, can still struggle with feeding issues, jaundice, respiratory conditions and development delays. And their parents can feel the effects too. Just ask Kelli Kelly of the parents support organization Hand to Hold. When Kelly’s daughter Lauren was born at 34 weeks, she “looked good, looked healthy” Kelly recalled in an address to summit attendees. But the appearance was deceiving. Lauren required NICU care, so Kelly left the hospital “with empty arms.” She recalled waking during the nights to pump breastmilk for her daughter, whose developmental challenges made it impossible to breastfeed. Kelly suffered emotionally. “It’s hard to bond with a baby that’s in a glass box,” she recalled. Meanwhile, medical bills rolled in. Because of baby Lauren’s size, she didn’t qualify for Medicaid coverage. Several organizations are working to improve conditions for families like Kelly’s. The Association of Women’s Health, Obstetric and Neonatal Nurses has developed evidence-based clinical practice guidelines for late preterm infants. Meanwhile, the National Perinatal Association has published a similar document that also reaches parents, social workers, therapists and lactation consultants, among others. 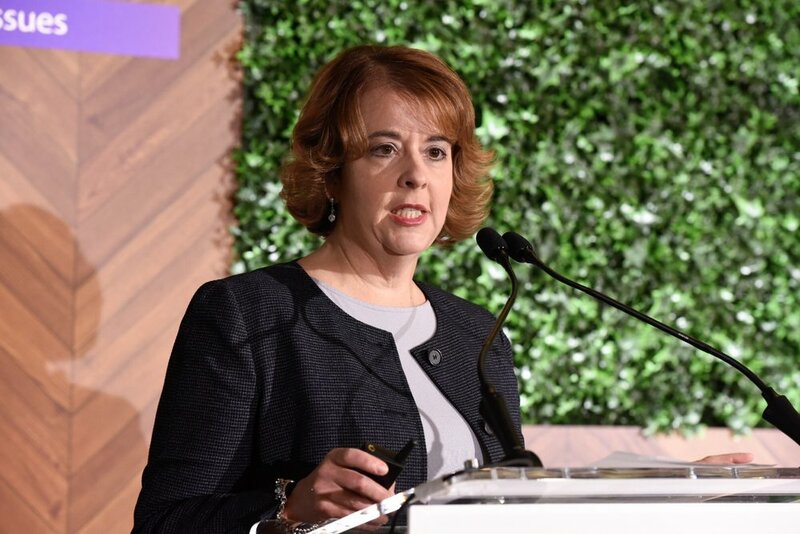 In a discussion moderated by Sue Ludwig of the National Association of Neonatal Therapists, the group explored the challenges of infants born late-preterm. “Every organ in the body is premature,” emphasized Raylene Philips, MD, of the National Perinatal Association. Jean Salera-Vieira, MS, of the Association of Women’s Health, Obstetric and Neonatal Nurses, noted the importance of support for these infants’ parents. Nurseries for infants born after 32 weeks’ gestation “don’t have same level of parent support that a NICU might,” she explained. Another opportunity for policy change lies with Congress’ PREEMIE Reauthorization Act of 2018. Staff representing the bill’s authors, Senator Lamar Alexander (R-Tenn.) and Senator Michael Bennet (D-Colo.), explained that the bill would reauthorize pivotal Centers for Disease Control and Prevention research on preterm births. The bill also includes screening measures and services for pregnancy depression and substance abuse treatment. Introduced earlier this year, the PREEMIE Reauthorization Act passed the full Senate over the summer. Rep. Anna Eshoo (D-Calif.) and Rep. Leonard Lance (R-NJ) are working to advance the bill in the House of Representatives. See photos and social media highlights from the day at the National Coalition for Infant Health’s Facebook page. For the third year in a row, the Institute for Patient Access and National Coalition for Infant Health hosted the 2017 Infant Health Policy Summit in Washington, DC on October 26. Health care providers, patient advocates, and policy makers gathered to discuss patient access issues facing vulnerable infants and their families. Safety in the NICU: New Tubes, New Problems? 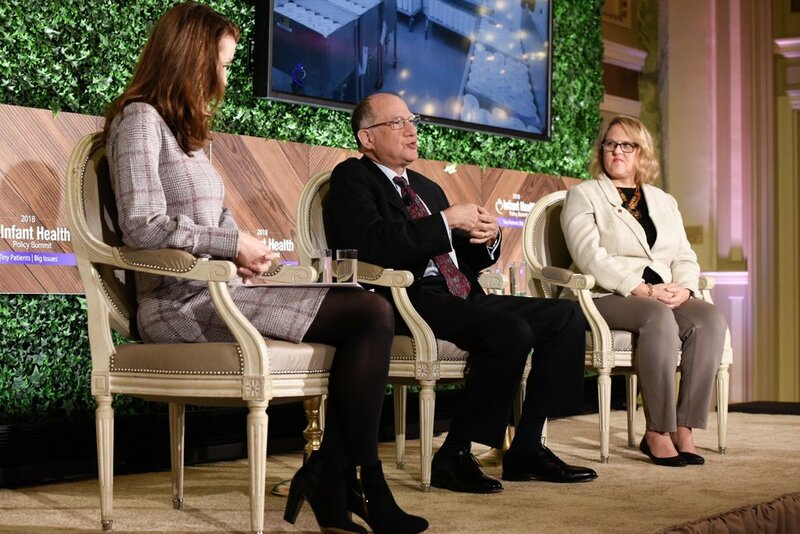 Expert panels explored how the opioid crisis is bringing a baby boomer disease to pregnant women and how an attempt to fix hospital tubing mix-ups could endanger preemies in a new way. Other discussions centered on how existing problems, such as preemies’ inability to access preventive treatment for a deadly seasonal virus or human donor milk for optimal nutrition, continue to pose risks. The summit’s keynote address featured Adam Busby, star of TLC’s “OutDaughtered.” The show chronicles the life of he and his wife, Danielle, as parents of all-girl quintuplets. Earlier this year, during the show’s third season, Adam came public with his experience of paternal postpartum depression. Attendees also heard from Andrew Rosenberg, director of the Newborn Health Initiative. Once a preemie himself, Rosenberg advocates for medicines that are designed for and tested on infants. There has not been a new drug approved to improve survival and outcomes in premature infants in over 25 years. 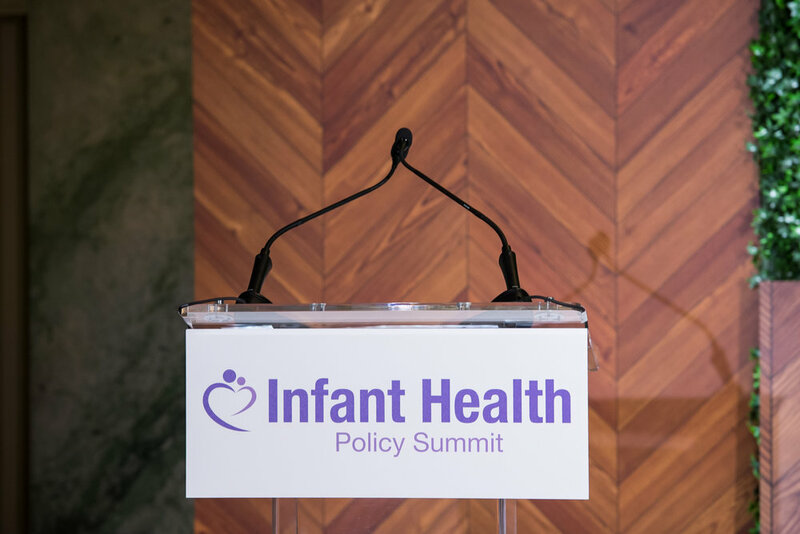 The Institute for Patient Access and the National Coalition for Infant Health hosted the 2016 Infant Health Policy Summit in Washington, DC on September 15. Health care providers, patient advocates, parents, and policy makers gathered to discuss patient access issues facing vulnerable infants and their families. Representative Katherine Clark (D-MA), for the second year in a row, addressed attendees about congress’ work in infant and maternal health. Kelley French, an award-winning journalist, Pulitzer Prize finalist, author, and mother of a premature infant born at 23 weeks served as the keynote speaker. Attendees received an up-to-the-minute briefing on Zika Virus from CDC’s Dr. Coleen Boyle, a key member of the Zika response task force. 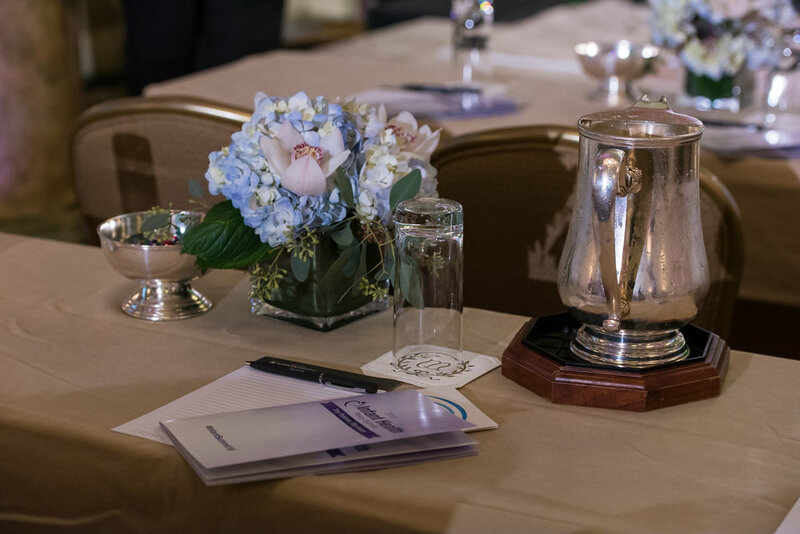 The Institute for Patient Access and the National Coalition for Infant Health welcomed health care providers, advocates, parents and members of Congress for the Preemie Matters National Policy Summit in Washington, DC on June 24-25, 2015. The summit featured remarks from preemie mom and CNN host Nancy Grace, who shared her personal and powerful story of her premature twins’ birth and the many challenges they faced. Conference attendees were also privileged to hear from Congresswoman Katherine Clark (D-MA) and Congresswoman Jaime Herrera Beutler (R-WA), who are both active leaders in supporting the nation’s most fragile patient population. The summit brought together experts from across the country to discuss access issues facing premature infants and their families, and to assist in establishing a policy platform for the NCfIH. 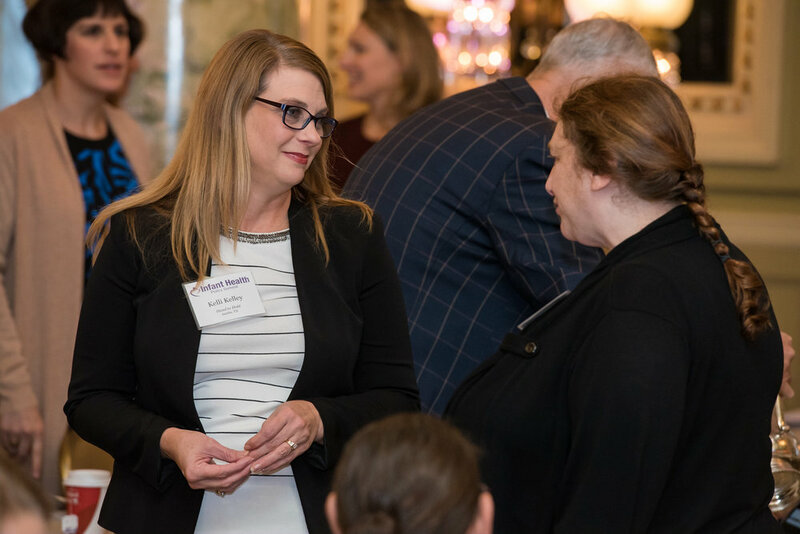 Attendees included health care providers, representatives from national nursing and physician organizations, along with leaders of both national and regional preemie parent organizations. What do preemies and parents needs in the NICU? -National Coalition for Infant Health Medical Director Mitchell Goldstein, M.D.